It takes a little while before Braids’ “In Kind” really gets going, but oh man, once that train leaves the station there’s some real aural bliss to be had. The song starts off with some luscious Nordic tonal melodies that brush across your ears like fresh powder snow swirling in the breeze before the rhythm section abruptly cuts in, bringing along with it some proper lyrics. From there the song makes a few more shifts in composition, but it’s not until the final three minutes of this song, which features run after run of some of the most beautiful vocals you’ve ever heard this side of the Cocteau Twins, before you realize that this is a song you’re going to want to play over and over again. This song is a real stunner, glorious and gorgeous, worthy of having you sit down for 8 minutes without anything else stepping in as a distraction. 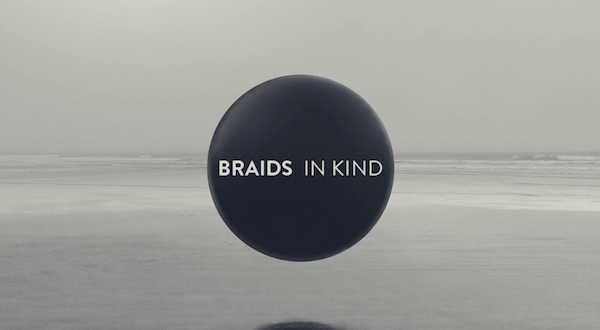 “In Kind” is the final song on Braids’ ‘Flourish // Perish’ LP, out now. This entry was posted in Music Videos and tagged Blue Holiday, Braids. Bookmark the permalink.